As I approach my 52nd year involved in the tourism industry, I have been privileged to work either directly or indirectly with two persons who I consider pioneers of the airline sector in modern times. The first, Max Ward of the Canadian carrier Wardair Canada Limited (later Wardair International), where part of my job was to help build new routes with innovative marketing ideas, and second, the late Sir Freddy Laker of Laker Airways and Skytrain who operated one of their B707 aircraft in International Caribbean Airways colours, with the Barbadian flag on the fuselage, initially from Luxembourg and then Gatwick to Barbados up to twice a week. We used to joke about it at the time as being the only airline to fly east to travel west. At that time Luxembourg was infamous for its low oil, aviation spirit, diesel and petrol prices. Years later in our British tour operator days we used to divert several of our luxury Kassbohrer Setra coaches via Luxembourg to fill up at the renowned Gasoline (Martelange) Alley on the border with Belgium, saving thousands of Dollars each year in fuel costs. Whether or not the attraction was cheaper fuel or securing in those days, the monopolistic and virtually impossible traffic rights for fledgling airlines, I probably will never know, but the first large group (72 persons) I personally escorted to Barbados in the nineteen seventies was with Caribbean Airways via Luxembourg. The other modern day airline hero for me is Sir Richard Branson and while I have never met the Knight of the realm, it seems the only thing we seem to have in common is the same year of birth, albeit the Virgin boss is four months my junior. Like ours, Sir Richard’s fascination with the Caribbean started decades ago and a common misconception is that the name Virgin came from the British Virgin Islands. 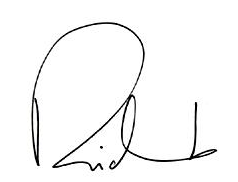 In fact, its origin came from one of his earlier music enterprises, when an employee suggested the name, because they were ‘new at business’ or as Sir Richard stated years later ‘I was a bit inexperienced at the time’. Few other entrepreneurs have contributed so much to growing tourism within our region with the indisputable benefits they have brought us all. So it was with great sadness that I read of Sir Richard’s sale of a substantial percentage of Virgin Atlantic’s shares resulting in the loss of a controlling interest. Especially as it appears to have been acquired by what, he would deem legacy carriers, Air France and KLM in association with Delta. He has spent almost a lifetime fighting against all airlines protective policies and in many cases frequent Government or more accurately, taxpayer subsidies. Perhaps the negative effect of Brexit and subsequent fall in the value of Sterling has played a critical role in this decision and we can only hope that the new majority owners will not intensify their interests in other geographical areas to the detriment of the Caribbean. Neither of these Continental European based airlines currently fly non-stop services to Barbados and during our protracted in-and-out-love affair with Delta servicing Atlanta and New York routes where both have proven unsustainable without massive marketing support. It is therefore absolutely critical that everything is done to protect existing Virgin routes into the Caribbean and somehow convince these new majority owners that the aircraft cannot be used more profitably elsewhere. Looks like BA will again have the last laugh….they were partially responsible for the demise of Laker’s Caribbean Airways and now their European rivals have bought of their competitor with no certainty as to their long term goals for this route,bearing in mind that the Dutch,French&American Caribbean destinations will have priority…….Bim needs to stay close to their loyal provider. “Despite several delays, the planned construction of a Beaches Resort at the site of the old Almond Beach Village in St Peter is still on the cards. Were the Sandals concessions contingent on Beaches being built to a time table? @ David the question is why the delay in building the resort at one of the best beach / location in Barbados. Hants has a habit of putting Barbados on fair promise -since 2015! There are still far to many unknowns with the Sandals deals. 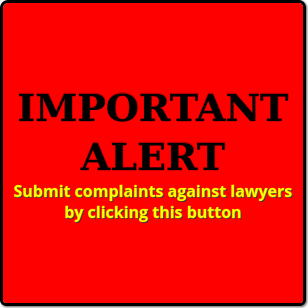 Does Sandals actually own the land at Dover Beach/Casuarina and what is the role/ownership of CPH Property Holdings (registration 37515) and Grand Cass Management (registration 37513). Has Government (taxpayer) been paid for the Almond Heywoods site and who is the beneficial owner? Take a leaf from Gaston’s book….. This article is the latest expression of Adrian’s obsession with “airlift”. The critical success factors in Caribbean tourism are high-quality hotel management, first rate resort design, marketing innovations, and reliable systems of waste management. Take care of those things and the rest is a piece of cake. Here is Mia Mottley’4 2013 position. Has it changed? Should she restate it given the revised rollout of Beaches? How is government investment pipeline impacted? @ David when MIA is PM next year I expect she will use the usual ” excuses ” to allow Sandals to continue as they please. “What’s the best place to slow down from the pace of Formula One racing? Barbados getting free “advertising” in the International press from Queen Ri Ri and also Lewis. This is a good plus for the community tourism market and that minority will soon from now become a majority. Today I am delighted to be sharing with you some news about Virgin Atlantic and Flying Club. In 2014 we launched our transatlantic Joint Venture with Delta Airlines and have seen great success. Our partnership has supported Virgin Atlantic’s transatlantic network expansion, most recently with the launch of flights from London Heathrow to Seattle and from Manchester to New York, Boston and San Francisco. For Flying Club, our Delta partnership creates more opportunities to earn and redeem Flying Club miles and enhances Flying Club tier benefits, including access to Delta’s award winning Sky Club lounges. Building on this success, today we are announcing our intention to expand the existing transatlantic Joint Venture to include Air France and KLM and our vision to become the Joint Venture of choice for customers travelling between UK, Europe and North America. All of us at Virgin Atlantic are proud to be partnering with three award winning airlines that together with Virgin Atlantic deliver the best customer experience and highest customer satisfaction scores in the transatlantic today. We share a commitment to deliver a seamless customer experience for all customers within the Joint Venture and Virgin Atlantic will continue to invest in its customer experience in years to come. We will offer 300 daily non-stop flights from 28 UK and European destinations to 32 North American destinations and connect to 250 destinations within North America on Delta. To solidify this partnership, Air France-KLM is today announcing an intent to purchase 31% of Virgin Atlantic from the Virgin Group for £220 million in cash. Both our expanded Joint Venture and the Air France KLM investment in Virgin Atlantic are subject to definitive agreements, board and regulatory approvals, which we expect to conclude by the beginning of 2019 or earlier. As a valued Flying Club member, I wanted you to be the first to know that once implemented, this enhanced partnership will further enrich Flying Club with earning and redemption opportunities and Flying Club tier benefits on Air France and KLM. As you can imagine, we are extremely excited about this opportunity and the additional value it will bring to you, our most loyal customers. I look forward to writing to you in the future to provide more details of our expanded Flying Club partnership with Air France and KLM and most importantly when you can start to take advantage. Together, the proposed expanded Joint Venture and investment in Virgin Atlantic position our iconic brand for long term, sustainable success and place Virgin Atlantic, as an independent UK carrier at the heart of the strongest partnership for customers travelling between the UK, Europe and North America. Thank you as always for choosing to fly with us. It’s strange to think but Virgin Atlantic has now been flying for half my lifetime. I can still remember the day we started when Lord King from British Airways forecasted our early demise, claiming we were too old to rock n roll, too young to fly. Well together we proved how wrong he was. Over the past 33 years, Virgin Atlantic has made a massive difference to people’s flying experience and changed the airline industry for the better. By focusing on our people and our customers first, we’ve raised the quality on our own planes and forced our rivals to improve their services too. Our success has helped to create Virgin America and Virgin Australia, airlines that transformed the flying experience in their respective countries too. But it hasn’t always been easy and during those 33 years we’ve had to first withstand British Airways Dirty Tricks campaign, which tried to put us out of business and where we won the largest libel settlement in British history. We distributed the money equally to everyone who worked at Virgin at the time. I’m sure there are plenty of you who will remember receiving the BA Christmas Bonus! We’ve had to endure a consistently uneven playing field with British Airways keeping a stranglehold on Heathrow slots, enabling it to feed its long-haul operation from a myriad of short haul flights across the UK and Europe. It has merged with Iberia to form IAG, acquired rivals such as BMI, Aer Lingus and Vueling, increasing its presence at Heathrow and extending its network. We survived the trauma of 9/11 and the collapse in international travel that followed; then picked ourselves up again after the global financial crises of 2008. And now we have Brexit, which before it’s even happened, has had a negative effect on the financial performance of both our holiday company and the airline, principally due to the collapse in the value of the pound. Through all of these challenges, our wonderful teams have steered Virgin Atlantic into calmer waters. One of the best moves we made nearly five years ago was tying up with Delta Air Lines, to create a joint venture across the Atlantic. Part of the rationale was to provide a competitive alternative to BA and American Airlines alliance and it has created a strong platform for us to promote and support our brand in this highly competitive market. Delta has helped us considerably with feed from America, but because we don’t have more slots at Heathrow or Gatwick we’re unable to enjoy feed from Europe or provide extra onward journeys for those customers we are now carrying to London. To address this we’ve been in discussions with Delta’s partners in Europe, Air France and KLM, to give us that network and connections. Today, I’m delighted to say that we’ve agreed with Air France-KLM and Delta our collective intention to form a four way strategic joint venture, which will be extremely beneficial to our airline, our customers and the brand we all love so dearly. We’ve also agreed with our partners how important it is the Virgin Atlantic brand lives on as part of our arrangement. As I get a little older, I want to be certain that all the necessary building blocks are in place for Virgin Atlantic to continue to prosper and grow for the next 50 years. The airline industry has consolidated over Virgin Atlantic’s lifetime and it’s now our turn to put ourselves at the heart of an important alliance, to create a stronger customer champion and build an airline which provides great opportunities for our team around the world. With these three partners in place and with me and one day, the wider Branson family still very much involved, we have the foundations to make sure this is so. That speech by the Hon PM of Antigua Barbuda confirms the opinion of many that Butch Stuart is a present day buccaneer with piratical tendencies.Brown’s view that there ought to be a regional harmonization of incentives to hoteliers is a sine qua non.Mercenaries cut in the cloth of Stuart have no scruples about extracting 100% concessions to the detriment of an orderly society.Brown’s speech should be mandatory viewing for the cabinet and opposition of Barbados. I wonder why Sandals chose to expand the Casuarina hotel way over to Maxwell Coast Road destroying the environment in so doing…………..rather than build the Beaches Hotel. What is going on with Beaches? Did the government go ahead and borrow the millions from China to pay the Trinis for it? Who owns the Almond property at Heywoods? Has this government committed to borrowing to build the hotel certainly to Butch’s specifications and leave the taxpayers with the bill to be repaid? I think I remember MP Toppin saying something about the government borrowing from the Chinese and that the consultants were getting a 20% finders’ fees in US dollars………..but I think that was for Sam Lords………. There again, who knows with this bunch of morons we have masquerading as a government? Who ever wins the next election will have an awful mess to clean up! The deals and back room deals are going to be very complicated to unravel. Let me ask you a question. If Butch Stewart were to become a model employer and pay his Antiguan hotel workers slightly higher wages and salaries, what would those workers do with the extra money? Wouldn’t they spend it all on imported cars, imported appliances, imported liquor and imported clothes?. Wouldn’t they take more trips to Miami, New York and London? How does that make Antigua a better place? I don’t take on brassbowls.Waste of my time.What I do with my disposable income is my choice. of its vested properties in private and public partnerships. ended March 31, 2014 has not yet been completed. and 2016 is also outstanding. I was hoping to scroll through the Auditor General report to find out what is going on in the BTII with regards to the land at Bay Street which is vested in the BTII. The taxpayers would like to know if Mark Maloney purchased the land since he is building a hotel on it. How much did Mark Maloney pay and was it at market price? After all, no one can submit a plan to build on land that it does not own. We want to know, Richard Sealy. Sandals will be sold in the next three years time. It is inevitable. Butch’s ambition is to take the brand outside the caribbean, he will need a deep pocket investor to carry out this project. Butch Stewart is a shrewd business man as they come. The Government of Jamaica has learned it the hard way TWICE. The first, with his fail management of running Air Jamaica and second the Sandal’s White House saga. The latter, he walks away with a multimillion dollar property for cents on the dollar… leaving the tax payer of jamaica holding the bag. Like Barbadians, Antiguans make a lot of money from tourism. But most of what they make slips through their fingers, or is squandered outright. So they are never satisfied, and always looking for more. The faults are not in others, but in ourselves. All thatwas lacking was the r-word that rhyme with brassbowl. After listening to what the P.M. of Antigua said in his address to parliament one can only wonder and be very concerned about what is in the MOU which minister Sealy has hidden as if it is a private deal between Sandals and himself. Are you that dumb or you just like being provocative? I’m neither dumb nor being provocative. But several people on this thread are dumb. Butch Stewart, the selfish buccaneer, is doing more to provide Antigua with investments of lasting value than most of the black hotel workers, who like their African ancestors, are easily dazzled by cheap, gaudy trinkets that don’t last. They waste most of the small sums of money they have. Why does Antigua need a white Jamaican to build and operate tourist hotels for them anyway. Are they too stupid to do it for themselves? Curious the measure you have applied to determine investment of ‘lasting value’. Asked against the background that there forex leaking governments have been unable to detect and fix. Will you cut it out about the leaking forex? There will always be leakage, particularly if a tourist business is foreign owned and keeps its profits elsewhere. But most of Sandals’ revenues have to be spent initially in the Caribbean to take care of their payroll and other expenses (e.g., electricity, fresh food, etc.). In essence you have no problem with Barbados subsidizing a Sandals even if it is at the expense of the homebased properties? what is the yardstick for giving concessions? @Chad. Hotel jobs for the most are low -income and seasonal. Unless you are in management, and most of those jobs go to foreigners. Therefore your statement comparing Butch stewart investment and job creation vs hotel workers in Antigua don’t make sense. It’s a fact that the hotel industry in the region is one of the largest recepient of government subsidies. So Antigua had growth of 6.5%.Barbados on the other hand had no growth since 2007 and blames the international recession and the Barbados Labour Party.Mind you,Antigua is in an IMF programme.What a bunch of incompetents in Bay St.
Barbados is not subsidizing Sandals. The economy is better off with Sandals than without it. Whether Sandals should receive tax benefits is a complex question. But considering how Government wastes so much of its tax revenues on salary increases for the bloated civil service, on travel etc, my guess is the country might as well continue to offer these incentives to large hotel operators. “What we are going to be doing is capitalizing on the brand new accommodation that we’ve got on the island and the increased awareness that we have, especially in the U.S,” says the BTMI’s CEO, Billy Griffith. Since 2014, there has been a 21% increase in air arrivals and an 18% increase in total visitor expenditure across all of Barbados’ source visitor markets, he added,……. I wonder which base is being used to show an 18% increase and how does it compare with 2007 or even 2005? @Chad. The high GDP per capita figure in some caribbean territories are highly skewed because of a few people that are well-paid. eg Bahamas wealthy expatriate community and approximately three thousand direct high-paying jobs in the financial offshore sector has skewed its GDP per capita to over $20,000us per year. Poverty reduction, it can be argued, has come about because of increase government social safety net, and not because of low- paying hotel jobs. I gave you the GDP in US dollars PLUS the poverty rate to show you that most Antiguans are sitting pretty. The only other thing I could do to make my point is draw you a diagram of the income distribution and calculate the Gini coefficient. Most of the poorest people living in Antigua are not Antiguans at all. They are economic refugees from Dominica, Haiti, and the Dominican Republic who moved to Antigua to take advantage of the relatively prosperous economy there. Antiguans themselves have been overtaken by vulgar consumerism and they are perpetually broke because most of them are spendthrifts who like living large. They make it and they spend it. That is the point. How is Chad99999 justified using a GDP mean average number? How is this distributed across the population? 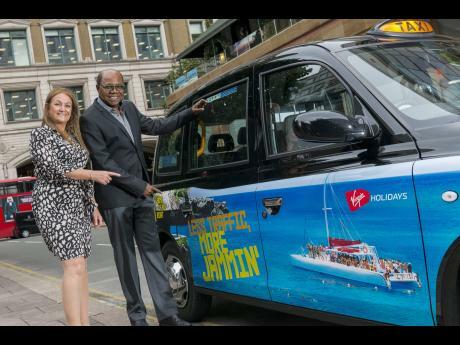 Minister of Tourism Edmund Bartlett gets ready to board one of the 150 Jamaican-themed black taxicabs emblazoned with the moniker ‘Less Traffic, More Jammin’, along with Elizabeth Fox, regional director, Jamaica Tourist Board UK/N Europe partners. Minister of Tourism Edmund Bartlett says Jamaica has Barbados firmly in its cross-hairs and could soon replace that Caribbean country as the leading destination for British tourists to the region. Bartlett, who was speaking at a dinner for travel-industry executives in London on August 8, added that Jamaica had been campaigning aggressively in the United Kingdom (UK) marketplace and would not relent until it has sole position of the number-one destination for British travellers to the Caribbean. Meanwhile there is a tourism backlash in Europe in particular Italy and Spain both of which see millions from the U.K.The question is. Are those 40 years of concessions to Sandals worth it. We cannot beat them on gun violence,no matter how hard we try……..or deaths for that matter. No surprise here. One can only wonder if the wash pan of concessions were based on a Beaches Hotel built by now. Perhaps Mia needs to start the sabre rattling about what her government will do to the Sandals deal if she is given office. BRIDGETOWN, Barbados, Saturday August 12, 2017 – A planned Beaches Resort in Barbados will likely take another three years to be ready to accept guests. Despite several delays, the Sandals hotel chain, under which the Beaches brand falls, is promising that the property is still on the cards. Construction of the Beaches Resort was initially due to begin in the middle of April 2015 and was due to be completed in 22 months. Public Relations Manager for Sandals Barbados David Hinds Hinds told Barbados Today online newspaper that “hopefully by the summer of 2020”, Beaches Resort will be welcoming guests. “But, as you know, that also is subject to change due to various factors, including construction, weather, but that is the plan and we are optimistic that it will be fulfilled,” he said. A year ago, Chief Executive Officer and Deputy Chairman of Sandals Resorts International Adam Stewart said he was looking forward to the construction of the Beaches property, while explaining at the time that construction of Sandals Royal in Dover Christ Church took priority over the St Peter development. At that time, Stewart said there was a year’s delay in the Beaches plan, putting its opening around 2019. Sandals, which opened its first resort in Barbados in November 2013, – Sandals Barbados – is preparing to unveil Sandals Royal next year.